Hey all, it’s been a while since I’ve posted on here. I’m way more active on discord if you didn’t know. Anyway, on to business. 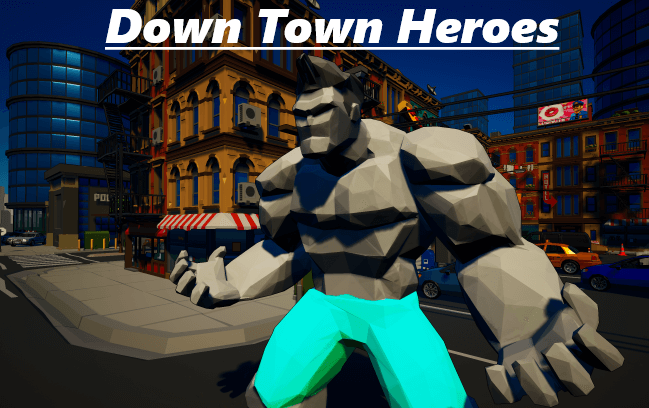 I’ve taken a break from End of Days to go back and work on Down Town Heroes. 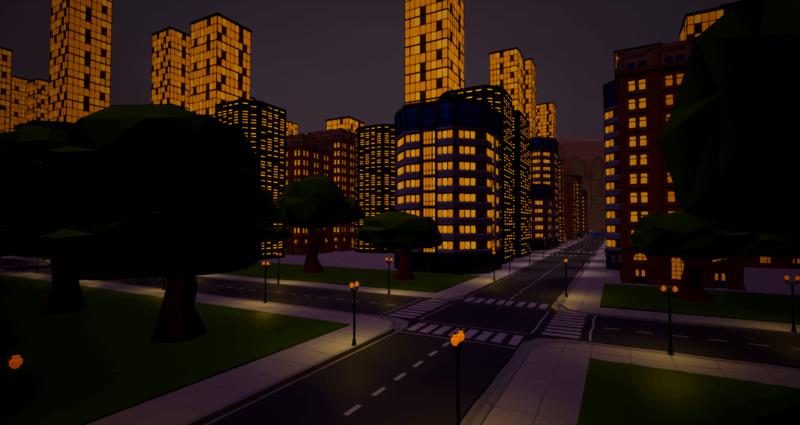 Both DTH and EOD will be using similar city generation systems so I figured it was as good a time as any to put some work into DTH. I really needed the atmosphere change as well to keep my brain fresh. 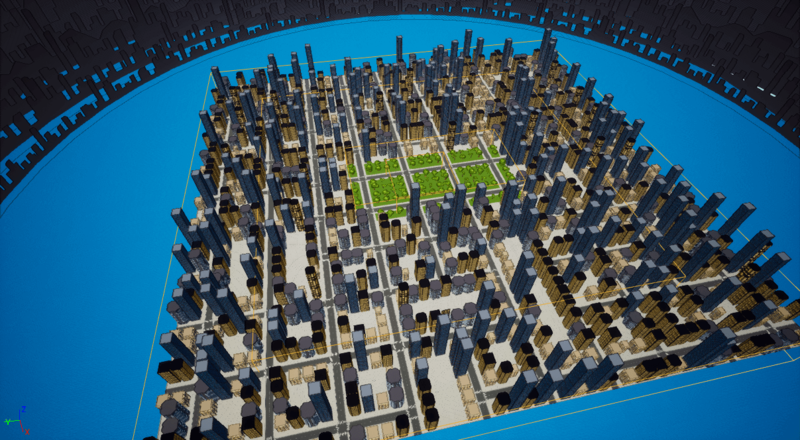 Currently DTH has basic city generation in place along side an already set up online multiplayer. At this point I am working on several characters for both the heroes and villains. Once I have those in place and finish setting up building destruction AND have that tracked in game mode I will start beta testing. 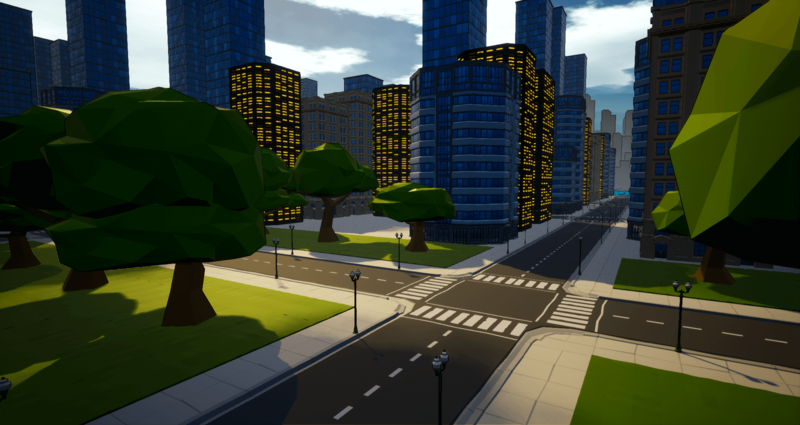 I will also be making hand made maps in addition to the map that randomly generates a city at the beginning of the match. For now, a randomly generated one will help the game not be repetitive until I take the time to make more maps. – NOTHING IS FINAL. The buildings are subject to change as well as the foliage. Some of them at the moment have the indoor lights on during the day. This will be fixed. 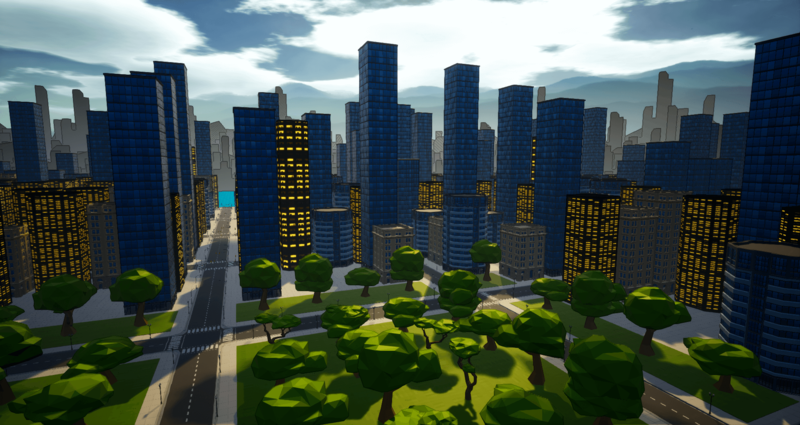 Here are a few screenshots of the early city generation stages. 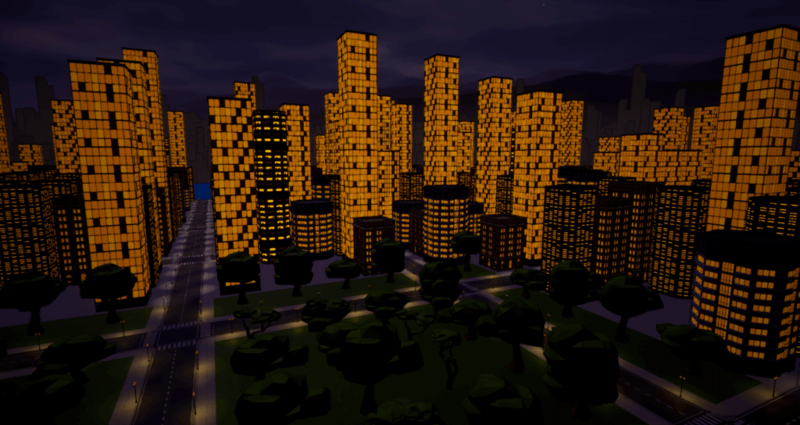 ← End of Days v0.1.5 Released!